Boulder Falls is located 11 miles west of Boulder, on the north side of Boulder Canyon Drive (SR 119) between Boulder and Nederland. 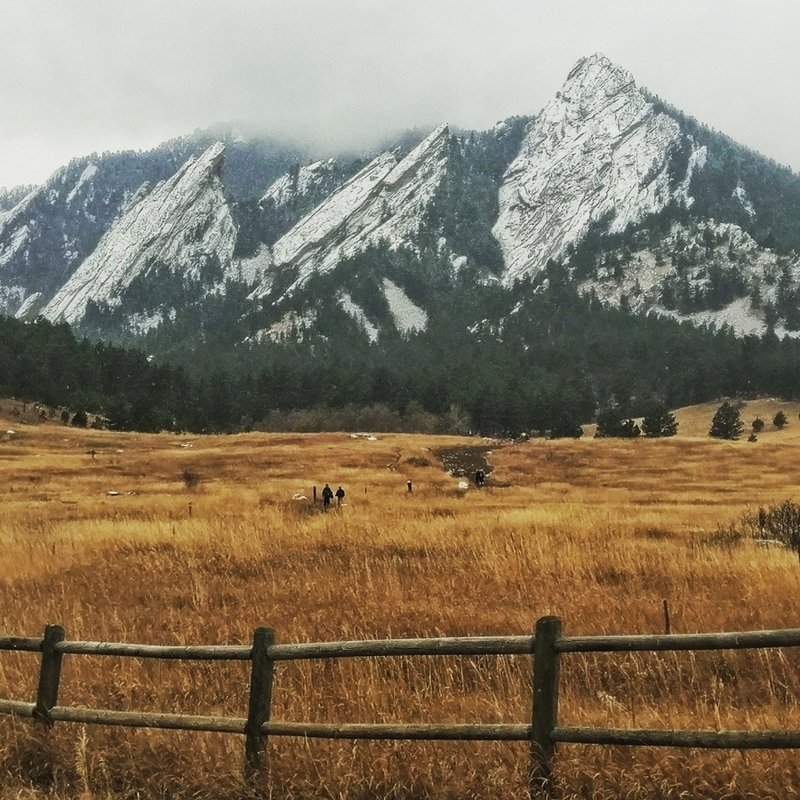 It consists of five acres of mining claims that were given to the City of Boulder by Charles G. Buckingham, president and co-founder of Buckingham Brothers Bank (now Norwest Bank). Buckingham had held a U.S. Patent since 1881 on the American Mill site that included the Falls. He donated it to the City of Boulder for recreational purposes in 1914, hence "saving this beautiful spot from the encroachment of the great tungsten boom." "Picture Rock" is a large gray boulder located just next to the road at Boulder Falls, appropriately named for the large round hole which has framed the faces of countless visitors as they posed for photographs here. The rock eroded naturally to produce the hole and was hauled up from Boulder Creek when the "new" highway was built in the 1940s. Settlers' Park got its name because it was thought to be the location of the first permanent camp of American settlers in the Boulder area. Chautauqua Meadow is easily accessible by car, although visitors are encouraged to walk, bicycle, bus, or car pool whenever possible. The hike is steep--a real workout!--but the views are incredible. The trail starts near the Bluebell Shelter, and then goes up... and up, passing near the base of the Third Flatiron. Bears and mountain lions live in the area, so know what to do if you encounter one. Visit the Chautauqua Trailhead page for a trail map of the area. Mount Sanitas (pronounced San-itas) is located 0.5 miles west of 4th Street on Mapleton Avenue. From the trailhead, there is access to several moderate to difficult trails: Mount Sanitas, Sanitas Valley, East Ridge, Dakota Ridge, Goat Trails. Mount Sanitas was named for the old sanitarium (health spa) that is now the Mapleton Medical Center. At 6,850 feet, you will have a fabulous view of the plains and Boulder Valley to the east. Stop in at the Flagstaff Nature Center for excellent exhibits and a chance to speak with volunteer park interpreters (open weekends, Memorial Day weekend through Labor Day weekend). Flagstaff Summit is rich in history. Most of the area, including some picnic sites, is accessible to wheelchair users. If you are hiking, take Flagstaff Trail to the summit. Driving slowly may save an animal's life! Just beyond the Gregory Canyon trailhead access road, Baseline Road turns sharply north to become Flagstaff Road as it ascends Flagstaff Mountain. At approximately 3.4 miles, you will come to Realization Point, the junction of Flagstaff Road and Flagstaff Summit Road. (Flagstaff Summit Road is accessible to motor vehicles only between May 1 and Oct. 31). Please note that motor vehicles and bicycles are prohibited on Open Space and Mountain Parks except on maintained public roads and parking lots. Flagstaff Summit is a parking fee area.